Photos by Asia Morris. 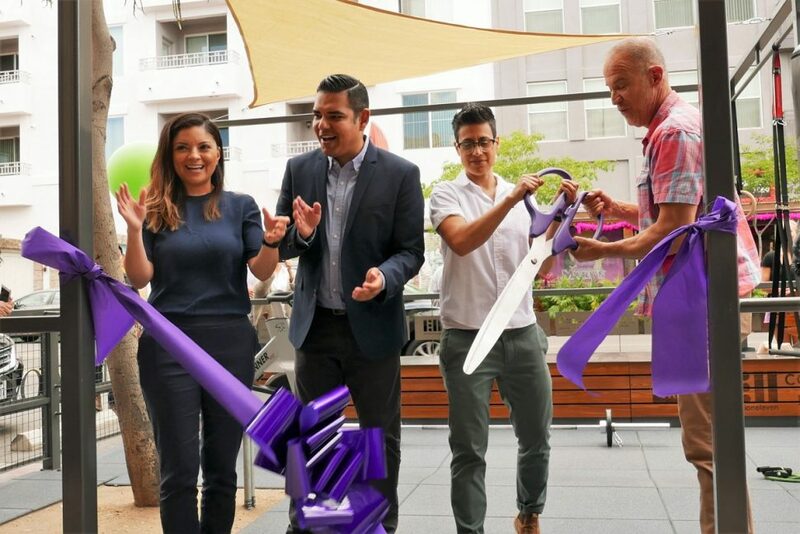 From left: Councilwoman Lena Gonzalez, Mayor Robert Garcia, Groundwork Fitness owner Giovanna “Gio” Ferraro and Salvage Design owner J.R. Van Dijs. 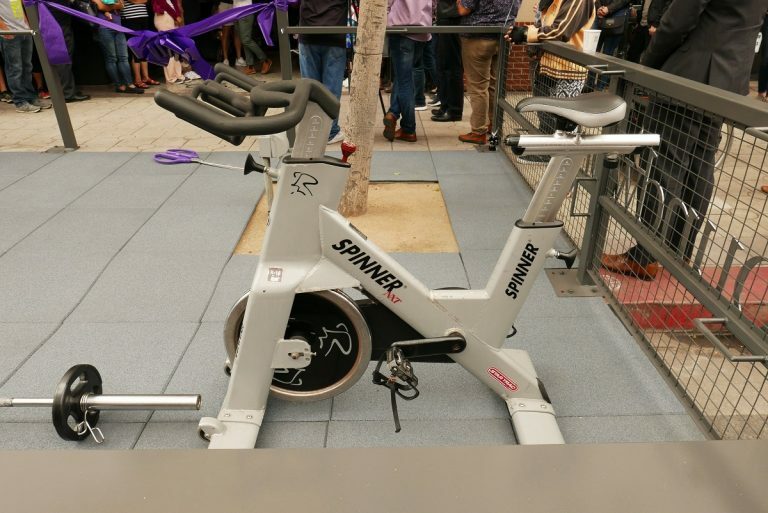 Today the opening of Long Beach’s first fitness parklet—and the first in the country—a sidewalk extension of Pine Avenue’s Groundwork Fitness in downtown, was celebrated by proud business owner Giovanna “Gio” Ferraro, Mayor Robert Garcia, First District Councilwoman Lena Gonzalez and a sizeable group of clients, fans and members of the community. 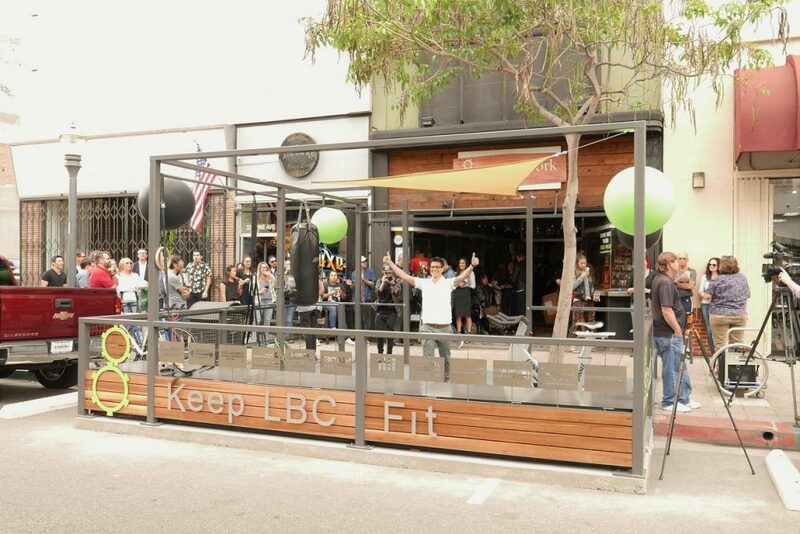 Most of the parklets in Long Beach, including the first one installed in front of Lola’s Mexican Cuisine, are parking spaces creatively re-designed not for cars, but to be used for restaurant patrons to dine outside, adding an activated space to a city block and providing opportunities for small business owners to engage with their community. 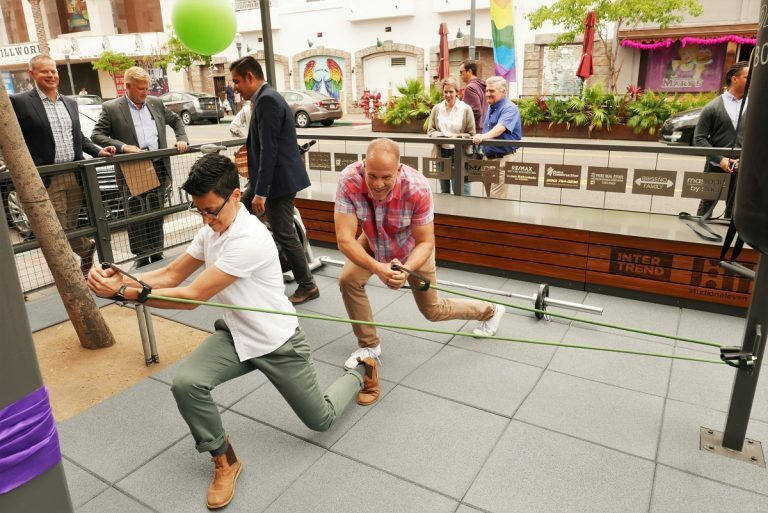 This particular parklet adds “a version of Venice Muscle Beach” to Pine Avenue, according to the initial announcement, putting Groundwork Fitness members on display as they exercise outdoors in front of downtown motorists, pedestrians, as well as those eating across the street at Hamburger Mary’s. Gonzalez said jokingly during the ceremony that she’d rather call the space a “worklet”, while the irony of an exercise pen located just across the street from the ever-indulgent Hamburger Mary’s was not lost on Garcia. Ferraro voiced to those gathered that she’s committed to utilizing the new space responsibly, that thanks to the city, her clients, the community and those who helped build and sponsor the project, she’s been given this exciting opportunity to open the first fitness parklet in the country, and she doesn’t take that lightly. One of the ways Ferraro wants to use the parklet includes building a fitness program for seniors. “It took three years total from my idea concept to getting this built, we attended many meetings with the city to allow for this opportunity to present itself here in Downtown Long Beach… but we did it,” Ferraro said in a statement. With the design expertise of local architecture firm Studio One Eleven and Salvage Division owner J.R. Van Dijs, the outdoor fitness area now activates a section of the Pine Avenue block between 3rd and 4th streets, with a a variety of equipment—a stationary bike, multiple pull-up bars, a punching bag and more—to be used, adding “a contagious energy” to the area. 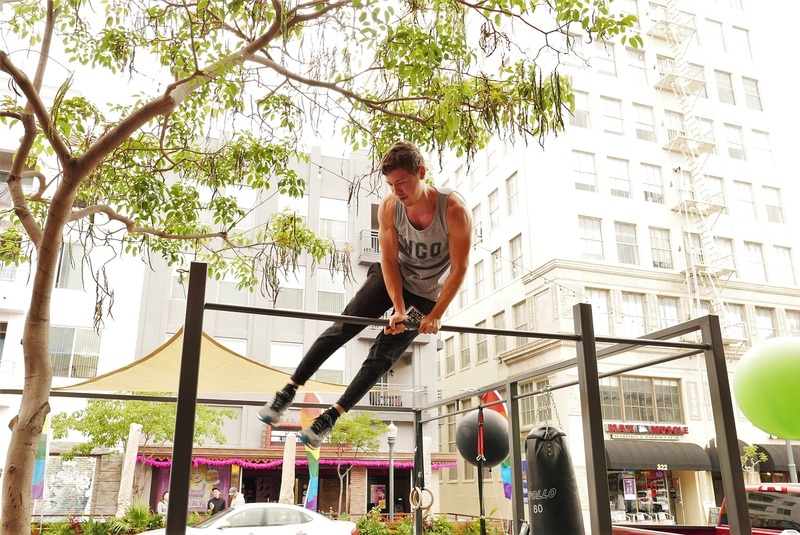 Groundwork Fitness is located 333 Pine Avenue.